DURHAM, N.C. – The Duke Football program will hold its annual Spring Showcase at 6:30 p.m., on Friday, April 5 at Brooks Field at Wallace Wade Stadium. Admission to the event is open to the public and free of charge. Following the showcase, at approximately 8:25 p.m., the Blue Devils will hold a meet and greet with the student-athletes and coaches on the field. At around 8:45 p.m., Duke will host a Family Movie Night at Wallace Wade Stadium, showing Remember the Titans. Fans are encouraged to bring a blanket and sit on the field or in a stadium seat to watch a movie on the video board. No chairs are allowed on the playing field. Duke is coming off an 8-5 campaign that included a victory over Temple in the Walk-On’s Independence Bowl. 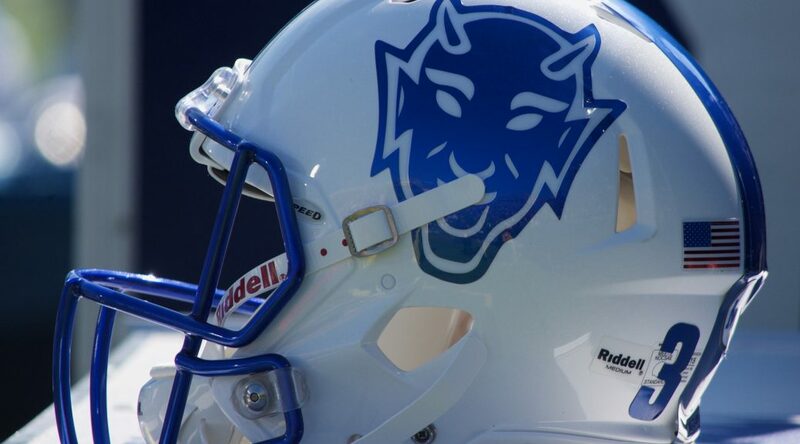 The Blue Devils return 50 lettermen and 15 starters with head coach David Cutcliffe entering his 12th season in Durham. Live coverage will be provided on ACC Network Extra, starting at 6:30 p.m. Season tickets are on sale now and can be purchased by visiting GoDuke.com/Footballtix or by calling the Duke Athletics Ticket Office at 919-681-BLUE (2583). 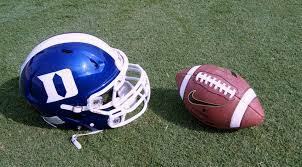 DURHAM, N.C. – Under the direction of head coach David Cutcliffe, the Duke football team will open spring practice on Friday, March 1 at the Brooks Practice Facility. Under NCAA regulations, the Blue Devils will have 15 practice sessions including the program’s annual Spring Showcase scheduled for Friday, April 5. 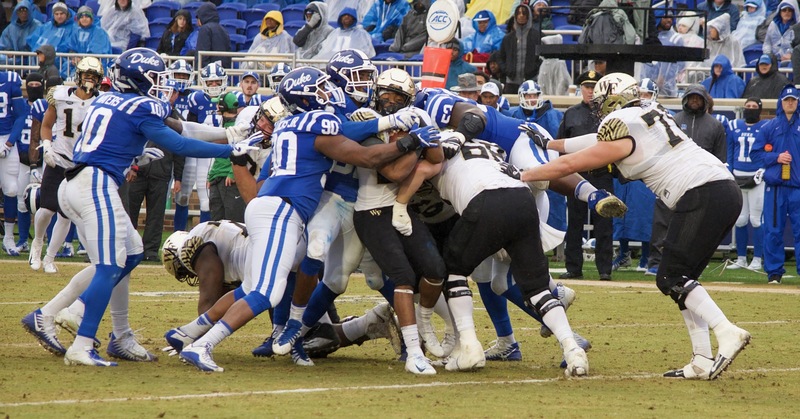 Duke returns 15 starters and 50 lettermen from last year’s squad that went 8-5 and capped the campaign with a 56-27 victory over Temple in the Walk-On’s Independence Bowl. Cutcliffe has guided the Blue Devils to six bowl game appearances in the last seven years while this past season, Duke earned its fifth winning campaign in the last six years and picked up the program’s third consecutive bowl victory. On offense, All-ACC running back Deon Jackson headlines a group of four returning starters including three offensive linemen. In 2018, Jackson rushed for 847 yards and seven touchdowns while catching 26 passes for an additional 253 yards and two scores. On October 27 at Pittsburgh, the rising junior established a school single-game record with 403 all-purpose yards while becoming just the third player in ACC history to top the 400-yard plateau. Up front, guard Rakavius Chambers, tackle Robert Kraeling and center Jack Wohlabaugh return after playing 818, 955 and 828 total snaps, respectively, a season ago. 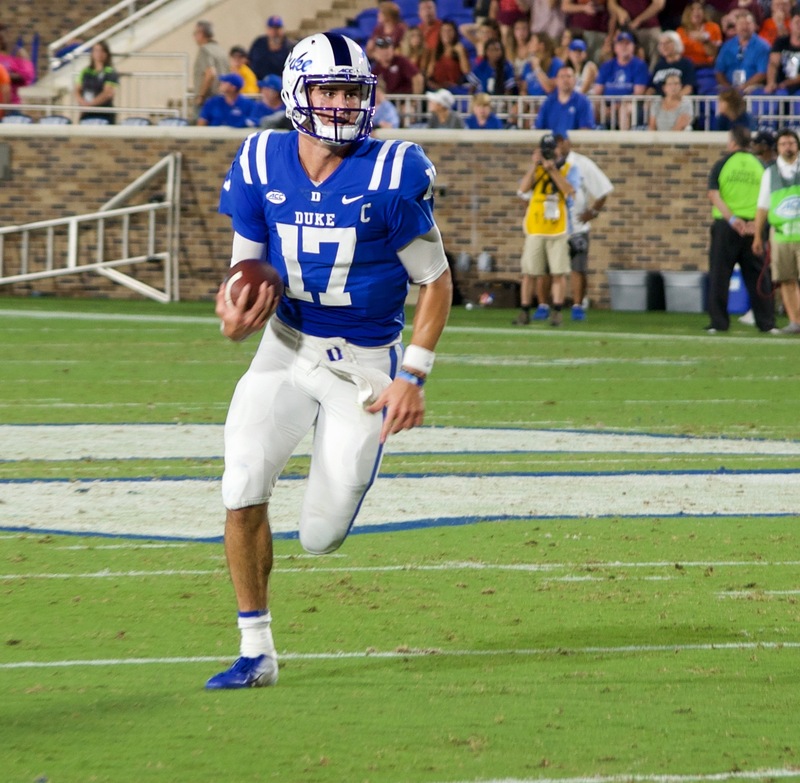 Duke must replace seven offensive starters including quarterback Daniel Jones, who amassed 9,524 total offensive yards in three years prior to forgoing his final season of eligibility to enter the 2019 NFL Draft. Rising redshirt senior Quentin Harris returns having played in 23 career games and guided the Blue Devils to wins over Baylor and N.C. Central last fall while Jones missed action due to injury. In his career, Harris has thrown for 510 yards and eight touchdowns against just one interception while rushing for 275 yards and seven scores. Rising redshirt sophomore Chris Katrenick and rising redshirt freshman Gunnar Holmberg also return with limited playing experience to their credit. Defensively, eight starters return including all four linemen and All-ACC safety Dylan Singleton, who posted 73 tackles in 10 games in 2018 before suffering a season-ending injury versus North Carolina. In addition, Duke brings back tackle Edgar Cerenord, who has played in 41 career games but suffered a season-ending Achilles injury at Georgia Tech on October 13, as the Miami, Fla., native was awarded a sixth season of eligibility by the NCAA. The Blue Devils must replace a pair of all-star linebackers in Joe Giles-Harris (313 career tackles; two-time All-ACC; All-America in 2017) and Ben Humphreys (274 career tackles; two-time All-ACC). Four members of Duke’s 2019 Signing Class – defensive back Jalen Alexander, defensive back Tony Davis, wide receiver Darrell Harding Jr. and offensive lineman Jacob Monk – enrolled in January and will participate in spring drills. 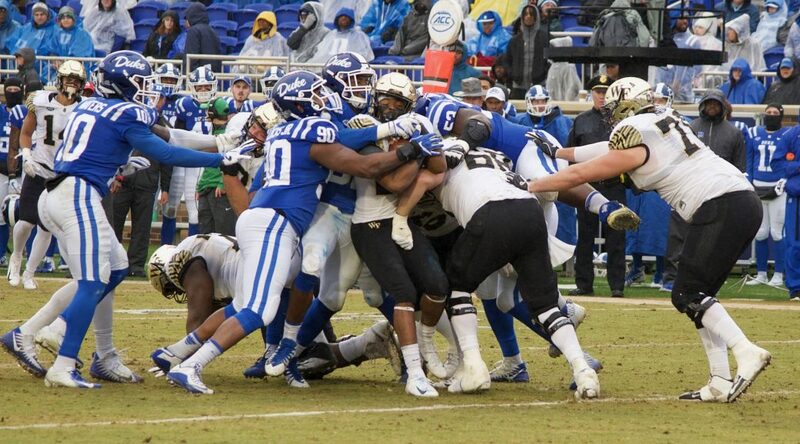 DURHAM, N.C. -- Six total home dates, 11 contests against 2018 bowl teams and two tilts versus a pair of College Football Playoff participants from season ago highlight the 2019 Duke football schedule released on Wednesday by the ACC office. Duke opens the 2019 campaign in the Chick-fil-A Kickoff Game against Alabama on Saturday, August 31 in Atlanta, Ga. 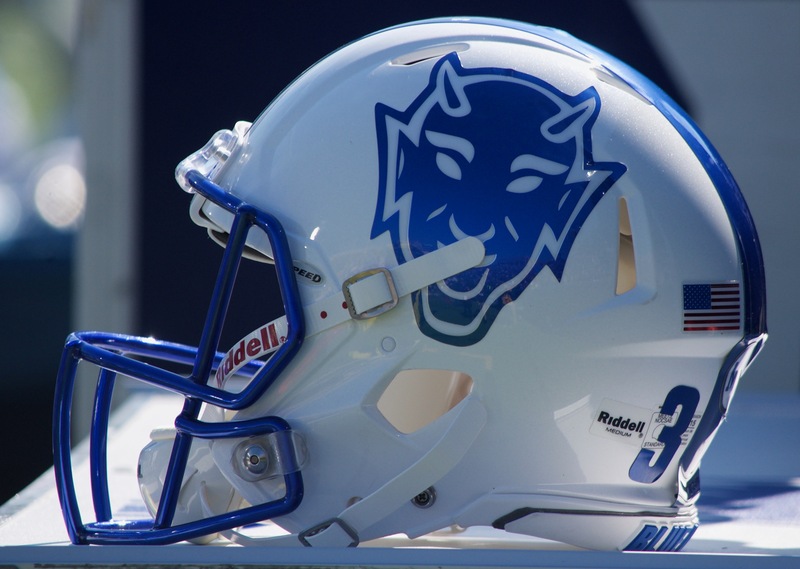 The Blue Devils will continue non-conference action in each of the next two weeks with games at home versus North Carolina A&T (September 7) and on the road at Middle Tennessee (September 14). Following the season’s first of two open dates, the Blue Devils begin ACC play at Virginia Tech on Friday, September 27. The month of October includes home tilts with Pittsburgh (October 5) and Georgia Tech (October 12) followed by road trips to face Virginia (October 19) and North Carolina (October 26). November begins with an open date on November 2 and features three home contests against Notre Dame (November 9; TV: ACC Network), Syracuse (November 16) and Miami (November 30) along with a road game at Wake Forest (November 23). Duke’s 12 opponents combined for a 2018 overall record of 98-59 (.624) and includes four squads that won 10-plus games (Alabama , North Carolina A&T , Notre Dame  & Syracuse ), three teams that captured division crowns of their respective conferences (Alabama [SEC West], Middle Tennessee [C-USA East] & Pittsburgh [ACC Coastal]) and two league champions (Alabama [SEC] & North Carolina A&T [MEAC]). 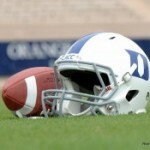 Tickets for the Duke-Alabama game are currently available at GoDuke.com/Footballtix. Season tickets will be available in early February. 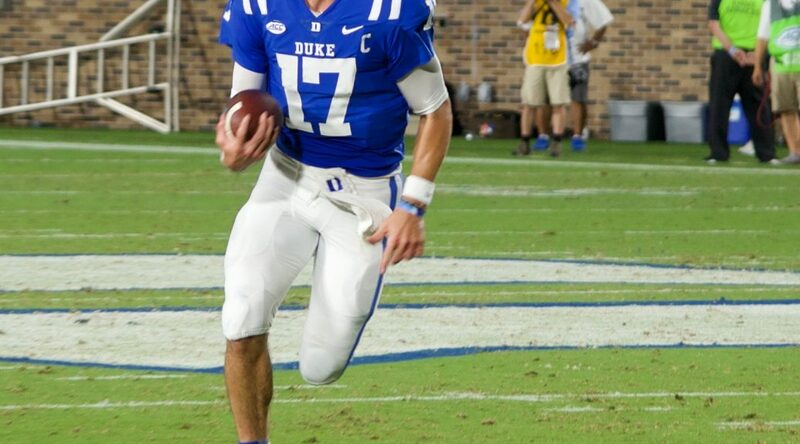 DURHAM, N.C. – Duke University quarterback Daniel Jones will forgo his final season of collegiate eligibility and enter the 2019 National Football League draft. The Charlotte, N.C., native graduated from Duke this month with a degree in economics. A two-year captain and two-time team Most Valuable Player, Jones played in and started 36 career games with the Blue Devils and completed 764 of 1,275 (.599) passes for 8,201 yards with 52 touchdowns and 29 interceptions while rushing 406 times for 1,323 yards and 17 scores. Jones closes his career holding Duke all-time records for touchdown-to-interception ratio (1.79), pass completion-to-interception ratio (26.34), pass attempt-to-interception ratio (43.97) and pass attempts per game (35.42). In addition, on Duke’s all-time charts he ranks second in pass completion percentage, second in pass completions per game (21.22), second in most games with multiple touchdown passes (16), second in total offensive yards (9,524), second in TD responsibility (52 passing and 17 rushing), tied for second in games with 30 or more pass completions (5), tied for second in 100-yard rushing games by a quarterback (2), third in passing yards per game (227.81), third in TD passes, third in rushing TDs by a quarterback, tied for third in most games with three or more TD passes (6), third in TD passes of 20 or more yards (27), third in games with 20 or more pass completions (20), third in rushing yards by a quarterback, fourth in pass efficiency rating (122.86), tied for fourth in 300-yard passing games (9), fifth in passing yards, fifth in pass completions, fifth in pass attempts and tied for 14th in rushing TDs. In 2018, Jones completed 237 of 392 (.605) passes for 22 touchdowns and nine interceptions while rushing for 319 yards and three TDs on 104 attempts. The regular season was highlighted by a pair of ACC Quarterback of the Week citations following wins over Northwestern and North Carolina. In the triumph over the Tar Heels, his third as Duke’s starting quarterback, Jones threw for 361 yards while rushing for 186 yards to post the fifth-highest single-game offensive yardage total (547) in ACC history, also the most by a Blue Devil in a single contest. He capped the season by earning Walk-On’s Independence Bowl Offensive Player of the Game honors after leading Duke to a 56-27 win over Temple thanks to a bowl-record 423 passing yards and six total touchdowns (5 passing and 1 rushing). Jones was named the Most Valuable Player of the 2017 Quick Lane Bowl after compiling 338 yards of total offense and accounting for three touchdowns (2 passing and 1 rushing) in a 36-14 victory over Northern Illinois. 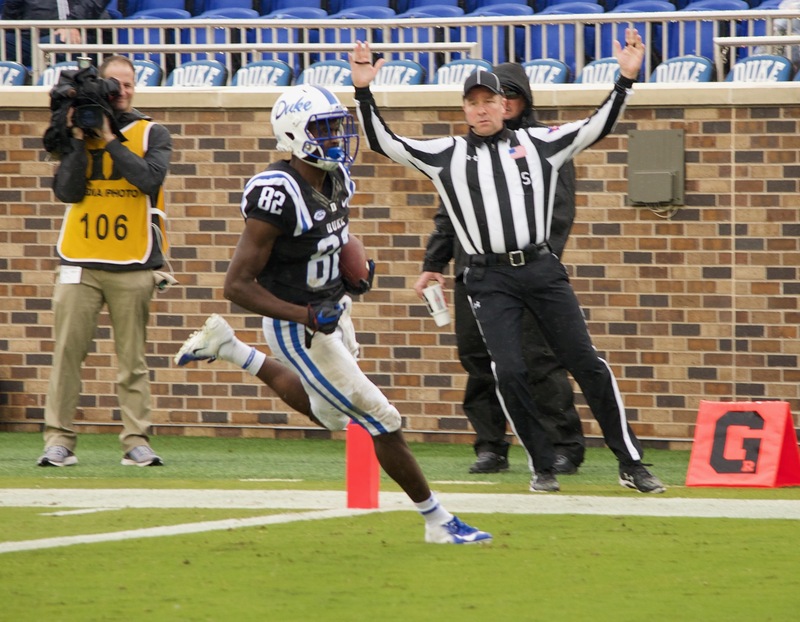 Duke concluded the 2018 season with an 8-5 overall record after defeating Temple, 56-27, in the Walk-On’s Independence Bowl during the Blue Devils' sixth bowl appearance in the past seven years. Duke will return three quarterbacks for the 2019 season including rising redshirt senior Quentin Harris, redshirt sophomore Chris Katrenick and redshirt freshman Gunnar Holmberg. 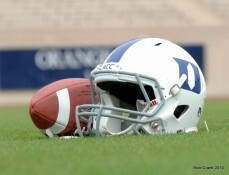 The Blue Devils open the campaign on August 31 against Alabama in Atlanta, Ga., in the Chick-fil-A Kickoff Game. After careful deliberation with family, close friends and coaches, I have decided to forgo my final year of eligibility and declare for the 2019 NFL draft. Growing up in Charlotte, I watched Coach Cutcliffe transform the Duke Football program into a true force within the ACC with annual bowl eligibility and championship expectations. It became my dream to play for him and the Duke program, and these last four years have surpassed my every expectation. I was fortunate to have the opportunity to graduate from one of the most respected academic institutions in the world while growing and maturing through a football experience that taught me far more than the game itself. To the Duke Football fans, thank you for your support of our team and of me individually as a player. The opportunity to represent you on and off the field was a tremendous honor and is something I will treasure for a lifetime. To my teammates, I would like to say thank you to each one of you. Every single player I have had the honor to share the locker room with has taught me something. I am forever grateful for the brotherhood, friendship and support. Thank you for allowing me the honor of being your quarterback. To Dr. White and our athletic administration, football coaches, strength coaches, sports medicine staff, equipment staff and the academic staff, thank you all for all you all have done for me over my time at Duke. Your care and support for the student-athletes is what makes our program special. To Coach Cutcliffe, thank you for giving me a chance to play for Duke University. Your support and guidance over these four years has meant the world to me. Thank you for the role you have played in my development as both a player and as a person. I will forever be indebted to you for this opportunity. I look forward to representing Duke University and Duke Football for the rest of my life, and will do my best to make you all proud. 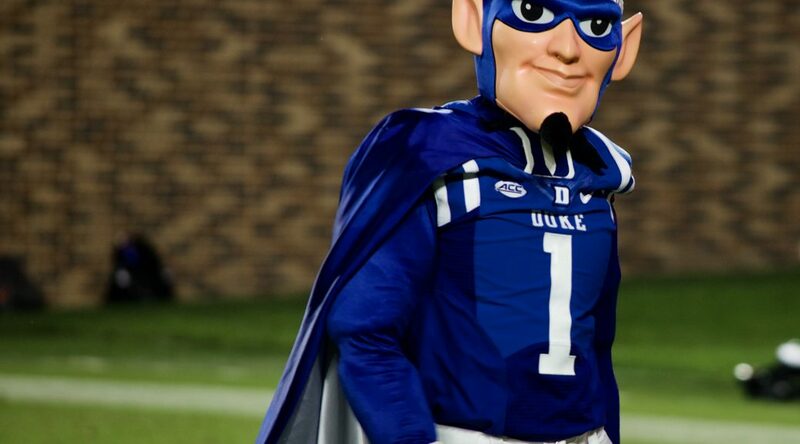 Duke Football adds new prospects, all of which have all signed to play in Durham next season. Elijah Wroten OL 6-3 310 Oreland, Pa.
going forward will coach k go small from the outset if an opponent is known for good ball screen offense. Will Cut shake up staff or be forced by Kevin White? Jim Bridge has been a disaster as O-LINE Coach.Zach Roper's offense has produced 13 pts last two games(shutout both halves). He should be out as OC. He's an converted special teams coach, who seldom surprises other teams. History tells us that David Cutcliffe will not make any drastic changes in season and that he rarely if ever makes a move on coaches from critics or anyones views. The fan base is frustrated after the walloping it took against Wake Forest and it is only fair that questions arise. Something is wrong when a team loses by 52 points in a game where they were favored by 10. The worst loss in Cutciffes tenure begs for some inner reflection in that it was simply shocking in a bad way. That kind of beat down should not happen to a 7-5 bowl bound team. On the other hand, maybe this is as good as it gets. Before Cutcliffe came along Duke was one of the worst programs in the nation. Now, they put out good kids and go bowling. If he can get to an occasional tier 1 bowl and tier 2 ones, I'd say he will call the shots more than other influences. The loss to Wake has a lot of people talking. There is noise where there should not be any. A hard-fought loss is acceptable, even a turnover prone pitfall, but a 59-7 is a tough pil to swallow, as it should be. A Blue Devil Nation member posted on the message board that Iron Dukes want a team they can be proud of win or lose. Well, that was not the case this past Saturday. I’m wondering why it is so hard for Cut and his staff to get his team ready to play home games. Virginia, Virginia Tech and the debacle we witnessed yesterday. It is a fair question. Duke looked a bit flat to me in their loss to Virginia Tech. That game reminded me of the home loss to Florida State the season before. Duke is 0-4 against Virginia in its last outings as well and one would think the team would be pumped out of their minds for this game. And then the loss to Wake Forest was a complete mail it in from the start affair. It does not help that the crowds do not turn out even when games have great meaning. But for whatever reason Duke has not played good home football in some cases since the stadium renovations and that needs to be addressed. It seems to be hard to get everything right of late and Duke was playing better football a few years ago. Part of that is that the ACC is good and in the Coastal Division, not a lot separates teams from top to bottom. But as for Duke not being pumped up for certain home games or playing well I have no answer and hope the staff figures it out next season.